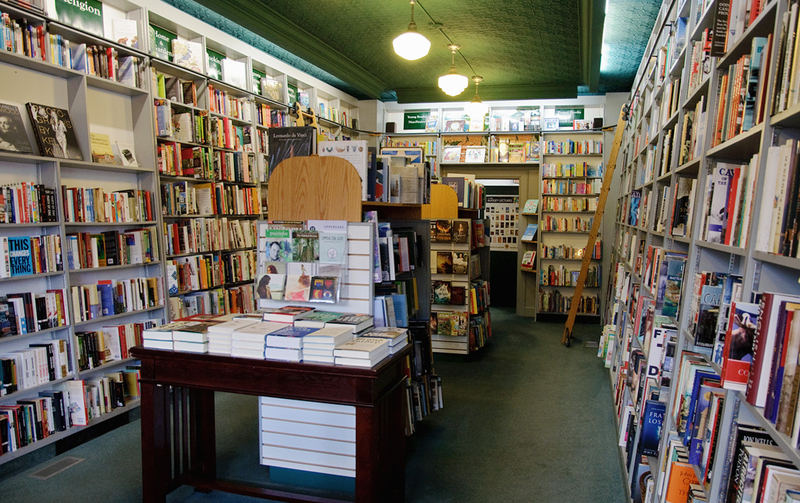 Before I even say anything about Bryan Prince Bookseller, I need to lament a bit about missed opportunities and fears. The entire time we were en route to Bryan Prince (and let’s be fair, the days leading up to it) all I talked about was getting my Belle picture on the ladders. I had visions of starting off this post with me hanging off the ladder telling you about how “It’s my favourite! Far off places, daring sword fights, magic spells, and a prince in disguise!” But then we got there and I took one look at those ladders and just knew it wasn’t happening. 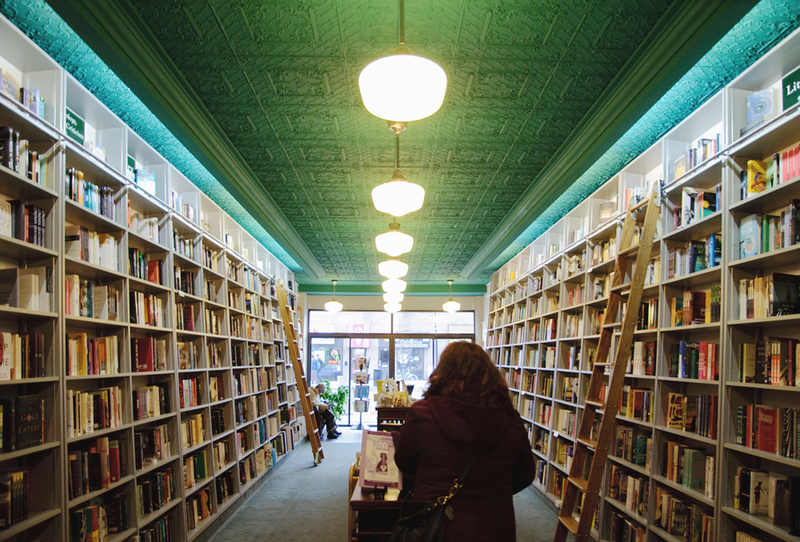 I haven’t been to Bryan Prince Bookseller since I was a student at McMaster, which was a little longer than I wish to indulge you with. 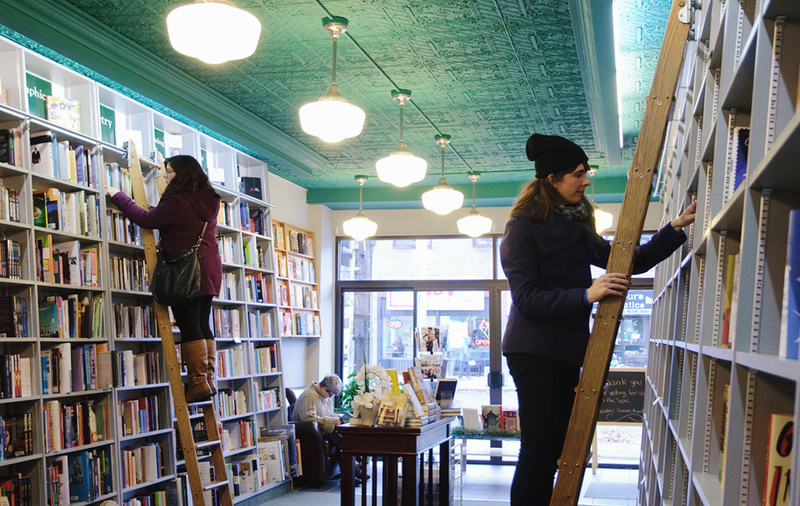 The sliding ladders and charm of the space are the two things I remember the most but when I envisioned floor to ceiling shelves, I forgot they were floor to high ceiling shelves. My dreams of being Belle flew right out the window and while you’d probably not know it in these pictures, I was holding on for dear life. It really is a stunning little shop, though, with the most gorgeous turquoise ceilings. 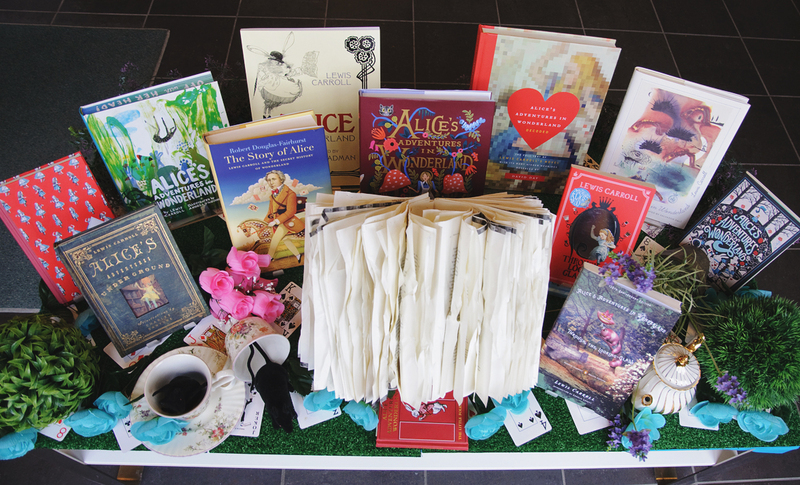 Breaking a bit from the trend of visiting used bookshops, Bryan Prince is a new bookshop with a carefully curated selection of fiction, non-fiction and local works. 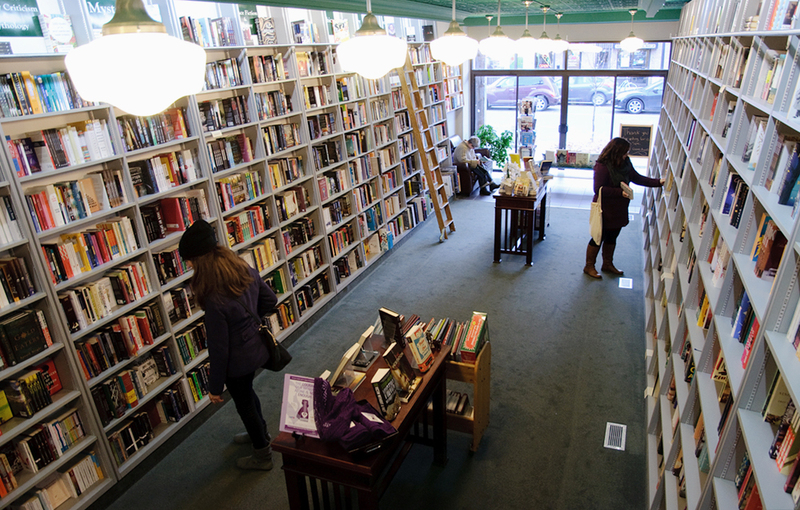 They are also heavily invested in the community and are always hosting author readings and signings in shop or at other venues in the city. 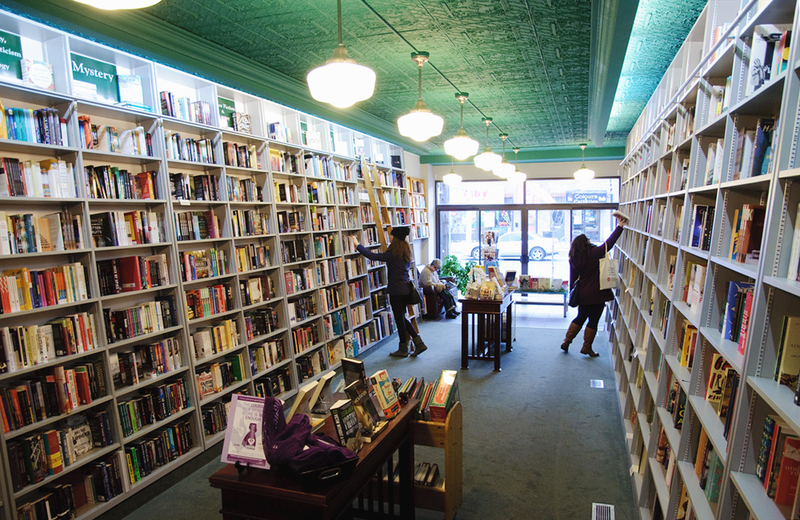 Bryan Prince opened up shop in 1989 wanting to have a strong focus on books and community. When Tracey Higgins and Kerry Cranston-Reimer took over in 2011 they continued with that same vision. The patrons that visit are long-time visitors. Tracey told us a story about how a man who used to come in as a youngster, now brings his own youngsters in to shop. That’s the dream, isn’t it? To share with your own children the things you loved the most at their age? Kerry wasn’t in that day so I didn’t get to torture her with her three favourite books but it took Tracey a very long time to narrow down her suggestions. One that didn’t make the cut, but came very close, was The Secret History by Donna Tartt. I love hearing everyone’s favourites because sometimes, as in the case of Tartt, they are some of my favourites too! 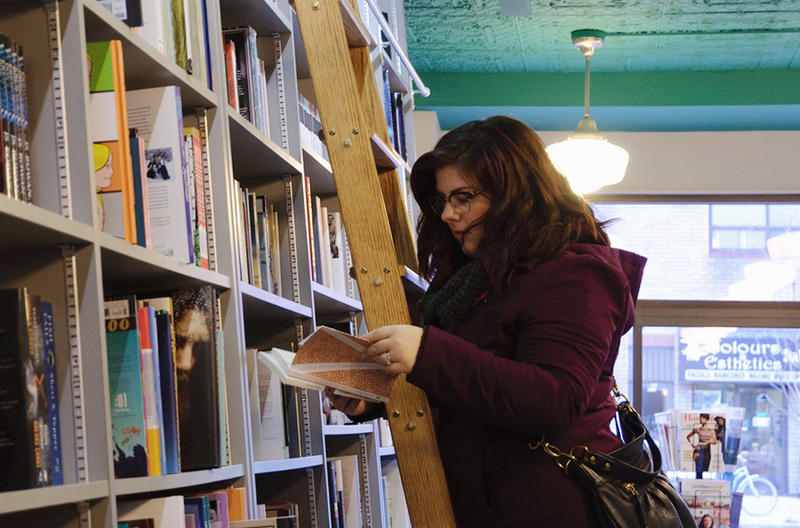 Surprise, surprise, this girl right here walked out with a couple of books. We almost made it out without a sneaky purchase but it’s a sickness, people. A sickness. I left with two short story collections, the new Penguin Deluxe edition of The Bloody Chamber by Angela Carter and Almost Famous Women by Megan Mayhew Bergman, which was a recommendation from Tracey. The Bloody Chamber is a fantastic collection if you’re into magical-realism! 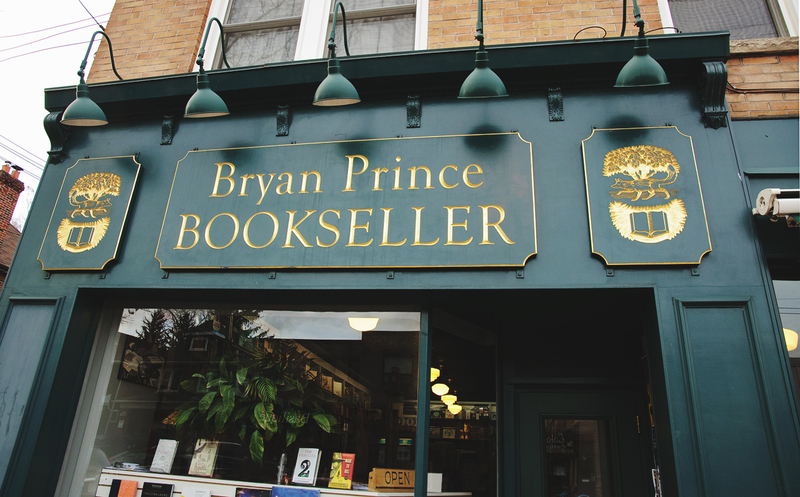 Make sure you check out their website to read about all the amazing things Bryan Prince Bookseller does in our community and the many achievements they’ve been awarded with and then go and visit. 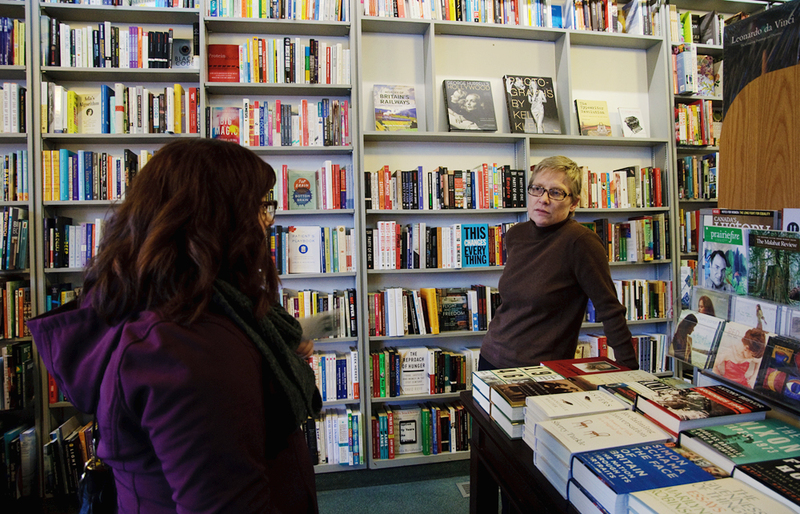 Booksellers love to talk about books and the people we met that day were pretty stellar.